Pepperstone Group is a broker for CFDs and forex, providing a trading platform for those of all skill levels. The broker aims to appeal to both novices and experienced traders with its range of tools and educational materials. Pepperstone helps both institutional and retail investors with using instruments like forex as a class of assets as part of an trading strategy. The broker always strives to deliver low-cost pricing, fast execution, top client support, the best trading platforms, and reliable trading infrastructure. With Pepperstone, clients can directly access multiple liquidity destinations within the forex markets without having to use a deal desk or put up with other hassles. Please Note: CFDs are complex instruments and come with a high risk of losing money rapidly due to leverage. 78% of Pepperstone Limited’s retail investor accounts lose money when trading CFDs. You should consider whether you understand how CFDs work and whether you can afford to take the high risk of losing your money. A veteran management team founded the company in 2010, putting years of experience in technology and forex to good use. The team decided to create Pepperstone after noticing that traders became increasingly frustrated when using online-based forex firms with trade execution delays, poor customer support, and excessive spreads. From the start, Pepperstone aimed to overcome this via its superior technology, exceptional customer service, low-cost spreads, and low-latency execution. The management team members behind the company has vast experience within the industry, helping them understand the requirements of retail forex traders to effectively trade. The team does not want to just stay up to date with forex developments; the company wants to constantly improve its services. Pepperstone always aims to create and develop then introduce its own solutions that can enhance the ease of online trading. At the same time, these solutions make trading more professional and fairer and can aid all clients, regardless of whether they are a large institution or a small retail investor. Since its founding, the vision of Pepperstone has been spearheading online forex trading’s evolution in more than 65 countries. Pepperstone hopes to make forex more accessible to individual retail investors. At the start, the company aimed to start revolutionizing the industry with better service, quicker execution, and lower spreads than existing brokers, something Pepperstone continues to do today. The overall vision of Pepperstone is becoming the largest provider in the world of online foreign exchange trading. The key values of Pepperstone include acting responsibly, being flexible and innovative, offering the best possible service, promoting ethics and integrity throughout the industry, and upholding the highest standards for compliance and regulation. One of the main goals of Pepperstone is to make forex trading more accessible to retail traders. As such, it should come as no surprise that Pepperstone offers many forex instruments for trading. There are over 70 currency pairs to choose from. When it comes to forex trading on Pepperstone, you will find all the major pairs with spreads starting at just 0 pips. There is a high focus on high-quality execution, low latency, a reliable trading structure, and flexible leverage of up to 500:1. In addition to the forex trading pairs, you can also trade CFDs with Pepperstone, including Cryptocurrencies, metals, commodities, indices, and more. With the index CFDs from the broker, you will find 14 major global stock indices without hidden markups or requotes and with low latency. You will find new markets that help you diversify trading strategies and vary your opportunities across the global equity markets. With the major stock indices, you can buy or short sell without commission. Precious metals from Pepperstone have fast execution, flexible leverage options, no commission, and low-cost pricing models, making them a fantastic way to diversify trading strategies. There are six precious metal pairs available, including gold, platinum, silver, and palladium against the USD or EUR. These assets often move along with inflation and market cycles. Energy trading also has no commission, minimum trade sizes, and flexible leverage. You will find both major oil markets, Brent Crude Oil and West Texas Intermediate Crude Oil, as well as natural gas and more. All trading instruments have a minimum trade size starting at 10c per pip, and you can get leverage of up to 500:1. Soft commodities are another choice for diversifying your portfolio with Pepperstone since the prices depend on moving and delivering physical assets. Soft commodities that are tradeable with Pepperstone include coffee, sugar, cocoa, cotton, and orange juice, each of which has a 2 percent used margin per one lot. Those interested in trading cryptocurrencies can do so on Pepperstone with Bitcoin, Ethereum, Bitcoin Cash, Dash, and Litecoin, each against the U.S. dollar. These trading instruments offer leverage of up to 5:1 across the trading platforms and make it possible to invest in crypto without having to actually buy them or keep a cryptocurrency wallet. Additionally, cryptocurrency trading with Pepperstone lets you hedge on a single account. Pepperstone has CFD technology that is ideal for executing large CFD orders while minimizing slippage. This way, the broker can give clients the best trading experience possible. Pepperstone also has a deep pool with liquidity sources without execution manipulation or a dealing desk, allowing for ultra-low latency. The CFD technology was specifically designed to support the trade flows of institutions, which gives clients a robust, scalable solution they can count on. The method from Pepperstone includes handling multiple fills, so it can sweep large orders through several levels into its Liquidity Aggregator. Additionally, Pepperstone systematically executes clients’ CFD orders with a market execution basis that does not require requotes and enables both negative and positive slippage. Trading CFDs with Pepperstone can be done directly with the MetaTrader 4 or cTrader client terminals so there is no need to have multiple trading accounts. There are four main types of accounts from Pepperstone, including the Edge Standard Account, Edge Razor Account, Edge Swap-Free Account, and Edge Active Traders Account. Edge Standard Accounts have institutional grade STP spreads and $0 commissions. With this account, you get to enjoy the liquidity from 22 banks, trading via MetaTrader 4, and negative balance protection, all from an Australian-regulated firm. The interbank spreads start at just 1 pip. Moving to an Edge Razor Account gives you $3.50 commissions and spreads from 0 pips. The spreads for this type of account are raw interbank direct pricing. The average EUR/USD spread is between 0 and 0.8 pips. The commission of $3.50 AUD is per 100,000 traded. This type of account has a minimum trade size of 0.01 lots, a maximum trade size of 100 lots, and leverage of up to 500:1. These accounts require an opening balance of $200 AUD or the equivalent with the ability to choose the following base currencies: AUD, USD, GBP, JPY, EUR, CAD, NZD, CHF, SGD, and HKD. Edge Razor Accounts also allow scalping, EAs, and hedging. Edge Swap-Free Accounts are interest-free, have $0 commissions, and feature STP spreads. This type of account is specifically designed for traders who are unable to pay or receive swaps. The spreads are straight through processing with no swaps. There is no commission and the minimum account opening balance is $200 USD or the equivalent. Base currencies can include USD, AUD, EUR, and SGD. The average EUR/USD spread is 1 to 1.2 pips with a minimum trade size of 0.01 lots and a maximum trade size of 100 lots. It also allows EAs, scalping, and hedging. It is worth noting that if you hold a trade on this type of account for two days, Pepperstone does make an admin charge, according to the clear table of commissions on the page dedicated to this account type. Finally, Edge Active Traders Accounts are for high volume or institutional traders. Spreads start at 0 pips, and you have to contact Pepperstone for pricing. Those who qualify for the Active Trader Program can earn cash rebates for their forex trades and save as much as 43 percent on trading commissions. The rebates depend on the volume of standard lots you trade monthly, with higher rebates for higher trading volumes. To stand out from the competition, rebates from Pepperstone are paid daily and right into your account on the day after you close the position. You can then use the rebate right away. Active Traders also earn Qantas Points via the Qantas Frequent Flyer program, get priority client support with a dedicated account manager, enjoy complimentary VPS hosting that makes it possible to run automated strategies, and get exclusive access to various reports and insights, such as daily Autochartist signals and market analysis from Pepperstone. There is also a demo account available from Pepperstone. To become a Pepperstone professional client, you must meet the minimum threshold for forex, commodities, or CFDs for two consecutive quarters in the calendar. You only need to meet the threshold for one of the markets, and the notional volume per month for each market is $15 million USD. Those who qualify as premium clients get to enjoy a long list of additional benefits. These include priority client support, advanced market insights, premium rebates, invitations to premium events, access to the Qantas Point offers, VPS solutions, and advanced trading tools. Premium clients work with a highly skilled dedicated account management to help with premium solutions and support to meet individual trading styles. You can contact Pepperstone to become a premium client or learn more about qualifying to become one. Traders with Pepperstone accounts can choose to trade using either MetaTrader 4 or cTrader. MetaTrader 4 is compatible with Windows, Mac, the Web Trader via your choice of browser, iPhone, Android, and tablets (both Android and iOS). cTrader is compatible as a WebTrader, cAlgo, or mobile. MetaTrader 4 is user-friendly and filled with features, such as enhanced charting functionality, Expert Advisors and other automated trading strategies, a Market Watch Window, a Navigator Window, your choice of order types, 85 preinstalled indicators, order execution capabilities, multiple chart setups, and analysis tools. It delivers first-class charting with unlimited charts, real-time data export, and secure trading. There is also support for MetaTrader 5, which has optimized processing speeds, 38 built-in indicators, 21 time frames, a built-in economic calendar, advanced pending orders, and the ability to hedge positions. With cTrader, you get robust trading infrastructure, lightning-fast speed, and top-tier liquidity. cTrader was designed by and for traders and has a highly customizable user-friendly interface with order management systems and enhanced charting abilities. It includes detachable charts, level II pricing, extensive backtesting facilities, automated trading via a dedicated platform, and next-generation charting techniques and user interface. Money Managers who use the MetaTrader 4 platform can also use Pepperstone with Multi Account Manager and Percent Allocation Management Module software via MT4. You just need to apply for access to use the system. There is also API Trading available. Those who choose to trade on MetaTrader can opt for the Smart Trader Tools from Pepperstone. 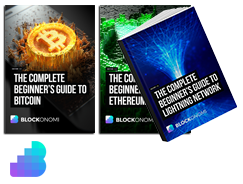 This package includes 10 smart trading apps that help deliver an edge. The tools help with advanced trade management and execution, sophisticated alarms, decision assistance, up-to-date market data, and more. The tools include Connect, Alarm Manager, Correlation Matrix, Correlation Trader, Excel RTD, Market Manager, Mini Terminal, Sentiment Trader, Stealth Orders, Session Map, Trade Simulator, Tick Chart Trader, Indicators, and Trade Terminal. Pepperstone also has a section dedicated to forex news with multiple new articles every day, an economic calendar, and Technical Analysis Software powered by Autochartist. Pepperstone has a nice section for education, including FAQ and a glossary. You will also find informative Trading Guides on a range of topics, free webinars for all skill levels, and a section dedicated to learning to trade forex. You can contact Pepperstone customer support via live chat on any page of the website. You can also find the broker’s phone number at the bottom of any page or click “Contact Us” at the top of any page. That will show you the broker’s physical address, 24-hour online support options (email and live chat), and numbers for 24-hour phone support. You can choose among various base currencies. The base currency is the currency of your account as well as the one you use for deposits. Options include the Australian dollar (AUD), British pound sterling (GBP), United States dollar (USD), euro (EUR), Japanese yen (JPY), Canadian dollar (CAD), New Zealand dollar (NZD), Singapore dollar (SGD), Hong Kong dollar (HKD), and Swiss franc (CHF). There is an extensive list of funding methods for Pepperstone accounts, including e-wallets and credit and debit cards. You can use Verified by Visa, MasterCard Secure Code, Visa or Mastercard, traditional domestic or international bank transfers, PayPal, POLi for an instant bank transfer, China Union Pay, BPay for transfers from Australian banks, Skrill (Moneybookers), Neteller, Qiwi, Fasapay, other local funding methods, and broker-to-broker transfers. Many of these methods allow for instant funding 24/7, but you should check the specific timeframe for your chosen funding method. Broker-to-broker transfers typically take two to three days. Pepperstone will not charge you any fees for a deposit or withdrawal. However, your payment provider might charge you a transfer fee or a conversion fee. It is also noteworthy that Pepperstone does not accept third-party payments, meaning that the name on the Pepperstone account must match the name on the account you use to fund. For joint bank accounts, your name must be one of the parties on the account. You can only return funds to a bank account that bears the same name as your Pepperstone account, as with deposits, due to the third-party transaction regulations. Know that if you make a credit card withdrawal, you can only use it for the amount you deposited with the credit card; after that, you must choose another method. If you fund your account with a credit card and then withdraw within 60 days, the withdrawal will have to go back to your same credit card. Withdrawals are processed the same day if Pepperstone receives them before 21:00 GMT (which is 07:00 AEST). Otherwise, you may need to wait until the following day for processing. Bank Wire Transfer withdrawals typically take three to five business days to arrive in your account. Pepperstone does not charge fees with withdrawals, but your financial institution could. If this happens, Pepperstone will pass the fee onto you in most cases, including in the case of an international telegraphic transfer fee that Pepperstone’s banking institution charges, which is usually about AUD 20. Any suggested time frames for withdrawals from Pepperstone may be lengthened by unforeseen circumstances. You will notice that all the Pepperstone accounts have “Edge” in their name. This is because the broker uses the EDGE Environment, which is considered the highest-performing portfolio for forex trading technology enterprise clients who want to reduce speeds and enjoy execution acceleration. EDGE makes it possible to trade via MetaTrader 4 with an improvement of up to 12 times in execution speed and up to 10 times in latency reduction. There are also extra optical fiber connections with Interbank Servers within New York, allowing for one-click MT4 ordering for an ultra-fast trade placement. There is also Pepperstone Price Improvement (PPI) Technology that routes FX orders intelligently, so it can deliver the optimal price and detect the market hotspots. The EDGE spreads are tight thanks to the new Dark Pool Liquidity. Overall, the EDGE technology allows for one-click trading, a secure client area, ultra-low spreads, dark pool liquidity, price improvement technology, and more than 70 tradable instruments. You can also view the Interbank Market Depth to help inform your trading decisions. Pepperstone uses Equinix trading servers to deliver fast trading. This is the broker’s method of staying competitive in the competitive industry of the global electronic financial markets since the electronic trading systems it offers can only work well if the infrastructure is effective. Because of the need for speed and reliability, Pepperstone chose to partner with Equinix to make a state-of-the-art infrastructure for trading forex just a few miles from New York’s Wall Street. Pepperstone is part of the Equinix Financial eXchange, which is a state-of-the-art network with execution venues, bank trading servers, and sell and buy side firms at the Equinix high-performance data centers. It is access to this Equinix Financial eXchange that lets Pepperstone deliver low-latency as well as allowing the broker to exchange data directly with customers and strategic partners nearby. Additionally, Pepperstone has a direct interlink to the multiple providers in Equinix NY4 via Optical Fiber. These direct connections allow for ordered transmissions at higher speeds than conventional internet connections, which leads to reduced latency. Pepperstone also directly connects to the backbone of the global internet. With access to Virtual Private Servers (VPS), forex traders can run their chosen expert advisors or automated algorithmic strategies 24/7 via a Virtual Machine. This reduces downtime from connectivity and technology failures and Pepperstone has two partnerships that give customers access to VPS hosting. You can get 20 percent off Pepperstone FXVM VPS, which has ultra-low latency times of just one millisecond. FXVM also has multilingual staff available 24/7 and can help with troubleshooting and installing expert advisors. Or you can get 20 percent off on a customized Pepperstone VPS plan from New York City Servers for low latency. These high-powered servers run 24/7/365, have a low latency stable connection, and feature fast executions with 24/7 customer support. Pepperstone is based out of Melbourne, Australia, with additional offices in London, Bangkok, and Dallas. Due to its location in Australia, Pepperstone is regulated and licensed by ASIC (the Australian Securities and Investment Commission) and the Financial Conduct Authority (FCA). Residents of the UK and EEA fall under the regulation of the FCA, where Pepperstone Limited is registered in Wales and England with Company Number 08965105. The FCA requires that financial firms implement and follow various internal procedures, such as audits, accounting, staff training, and risk management and that firms meet strict requirements for capital. Those who trade with Pepperstone Limited do so with FCA registration number FRN 684312. Pepperstone Limited also has Professional Indemnity Insurance from Lloyds of London and has the client accounts maintained with Barclays, a top-tier UK bank. Furthermore, Pepperstone Limited is independently audited by Ernst & Young, a global accounting firm. Additionally, clients from the UK and EEA receive protection under the UK Financial Services Compensation Scheme (FSCS), which includes coverage of up to £50,000 per person in the category of “investments” in case of the firm’s insolvency or default. Residents of Australia and other countries open accounts with Pepperstone Group Limited, which is registered in Australia with CAN 147 055 703. Pepperstone Group Limited holds an Australian Financial Services License (AFSL) and is regulated by ASIC. As with FCA, ASIC has strict requirements for capital as well as implementation and compliance with various internal procedures in the same categories of audits, staff training, risk management, and accounting. The ASIC regulation number for Pepperstone Group Limited is AFSL 414530 and this branch of Pepperstone also has Professional Indemnity Insurance from Lloyds of London and independent auditing from Ernst & Young. The client accounts are maintained with National Australia Bank. There is no compensation scheme like the FSCS in Australia. Pepperstone prides itself on its strong culture of compliance and regulation. To keep client funds secure, the broker keeps client accounts segregated. In Australia, this is done with the National Australia Bank. In the UK, this is with Barclays. Pepperstone also has additional professional indemnity insurance with Lloyds of London and maintains independent auditing to provide peace of mind. Because many forex brokers are available, Pepperstone is sure to list some features and qualities that help set it apart from the competition. One of these qualities is the understanding of what traders want. Pepperstone understands that traders want convenient, fast, and low-cost online forex trading. The company can deliver this thanks to its high-speed processing and years of market intelligence, combined with the use of cTrader and MetaTrader 4, world leaders in trading platforms. Pepperstone even has spreads as low as 0 pips. Pepperstone also strives to always offer clients excellent trading conditions. In fact, the company offers all traders (including retailer traders) low spreads and high liquidity levels, which only institutional clients (such as hedge funds and banks) could have previously. Pepperstone remains relevant and an industry leader by using the latest technology. Essentially, Pepperstone aims to deliver institutional grade trading to every online forex broker, without having to worry about catches and account structures. The focus is on low-cost trading and quick execution, and retail investors of all types and styles are welcome. The minimum account size of $200 AUD means that Pepperstone truly is open to nearly anyone. Because of its focus on technology hand innovation, Pepperstone has developed leading technology for execution and continues introducing tools that modern traders will use, such as mobile apps, a proprietary client area, and advanced account analytics. Pepperstone is also regulated and segregates client funds for protection. The company also has extremely high ratings for customer service, which is personalized and includes access to a team with years of expertise and knowledge. To further solidify its spot as a global leader as an online forex broker, Pepperstone has earned many awards, such as being number 1 for customer service and overall client satisfaction. Going back to 2012, Pepperstone earned the title of Best Intelligent Platform from Forex.com.cn and the Best ECN Broker Asia 2012. In 2013, Pepperstone earned the Deloitte 2013 Technology Fast 50 Award – #1 Rising. That same year, the broker earned a spot on the Smart 100 list from Anthill Magazine. Pepperstone was also a top 100 fastest growing companies according to the 2013 BRW Fast Starters. In 2014, Pepperstone was the 2014 Australian EY Entrepreneur of the Year and the winner of the Governor of Victoria Export Awards 2014. This year also saw it earn a place on the 2014 BRW Fast Starters, indicating its place as the fastest growing company within Australia by BRW Magazine. The awards continued in 2015, as the Investment Trends 2015 Australia FX Report winner as well as the 2105 Australia FX Report #1 Overall Client Satisfaction from the same organization. In 2016, Pepperstone won an impressive eight number 1 honors from Investment Trends as part of the 2016 Australia FX Report. These included Overall Client Satisfaction, Customer Service, Value for Money, Execution Speed, Spreads, Platform Reliability, Platform Ease of Use, and Commissions. In 2017, a similar trend occurred, with Pepperstone winning six number 1 honors from the Investment Trends 2017 Australia FX Report. These included Customer Service, Value for Money, Spreads, Risk Management, Education Materials, and Fund Withdrawal. Also in 2017, Pepperstone won the Governor of Victoria Export Awards for Exporter of the Year and the Digital Technologies Award. This same year, the company earned two Australian Growth Company Awards, including the Financial Services Growth Company of the Year Award and the Growth Company of the Year Award. 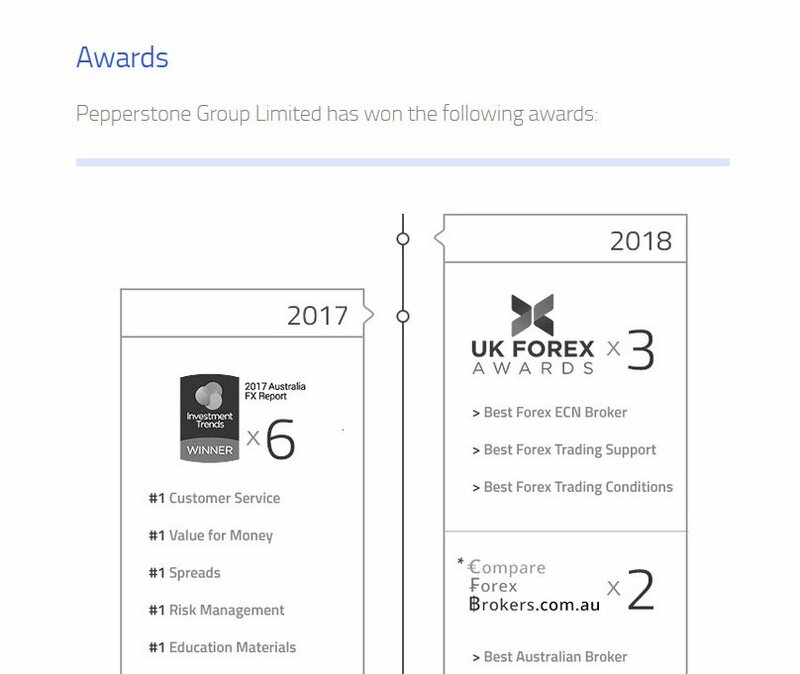 So far in 2018, Pepperstone earned three UK Forex Awards and two CompareForexBrokers.com.au awards. The UK Forex Awards included Best Forex ECN Broker, Best Forex Trading Conditions, and Best Trading Support. The CompareForexBrokers.com.au honors included Best Trading Platform and Best Australian Broker. The plethora of awards over the years shows that Pepperstone successfully maintains a well-rounded experience for clients, with top trading conditions, support, platforms, risk management, educational materials, and more. Pepperstone is a well-respected online broker offering the ability to trade forex and CFDs and are regulated in the UK and Australia which will give potential clients reassurance. 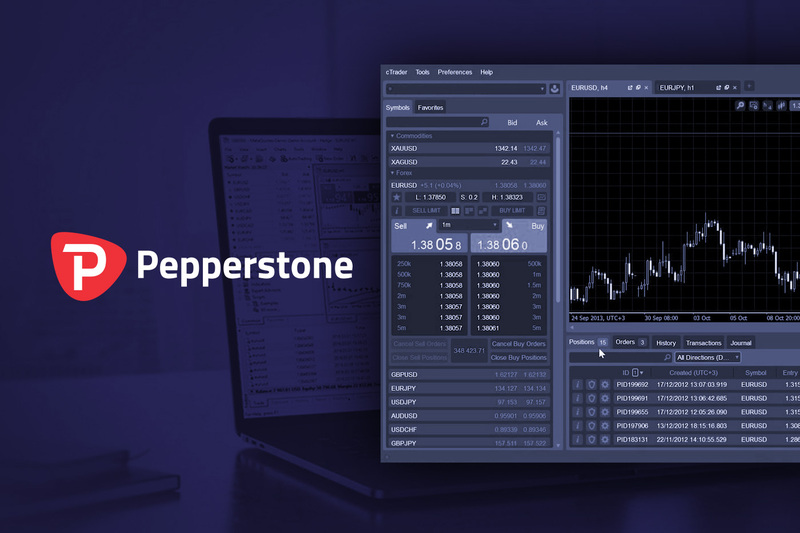 While they have not created their own proprietary trading platform, Pepperstone lets traders use MetaTrader 4 or cTrader with the ability to trade on multiple devices. There are several account types to choose from, depending on your skill and investment level. They have around 90 asset types which you can trade which mainly focus on CFDs, Forex and some Cryptocurrencies. The broker offers tight spreads with no or low commissions and they have a fairly low minimum deposit requirement which will appeal to beginner or retail investors. They also have a free demo account which you can use to test out their platform before making your first deposit.